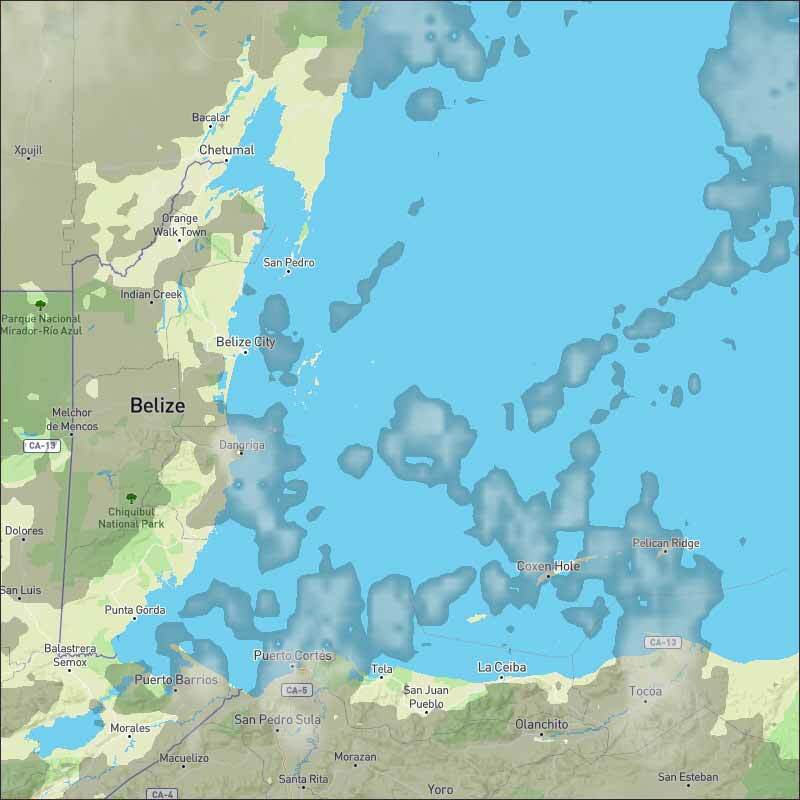 Belize NMS: A cold front is affecting the country and supports relatively moist, windy and cool conditions. 24-hour forecast: Cloudy, windy and cool conditions with a few showers, periods of rain and isolated thunderstorms mostly over the sea and along some coastal areas. General Outlook: For Tuesday and Tuesday night is for variably cloudy, windy and cool conditions with little or no rainfall expected. Today N 10-20 kts Choppy 3-5 ft A FEW SHOWERS, PERIODS OF RAIN AND ISOLATED THUNDERSTORMS. Tonight N 15-25 kts Rough 4-7 ft A FEW SHOWERS, PERIODS OF LIGHT RAIN AND ISOLATED THUNDERSTORMS MOSTLY SOUTH. Outlook N-NE 12-25 kts Rough 6-8 ft LITTLE OR NO RAINFALL EXPECTED. Tradewinds of 15-25 kt are over the eastern and central Caribbean with strongest winds near the coast of N Colombia. In the NW Caribbean, a surface trough is located about 60 nm ahead of the cold front mentioned above in the Gulf of Mexico section, from the W tip of Cuba to Cozumel Mexico as of 0300 UTC. 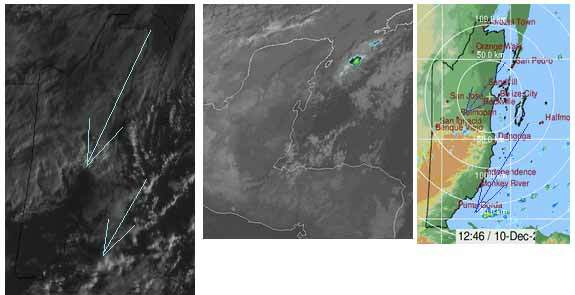 Scattered showers are over the NW Caribbean from 18N-22N between 77W-84W. Subsidence and relatively dry air cover the eastern and central Caribbean. Fresh to strong trade winds will prevail in the S central Caribbean through Fri night, pulsing to near gale off the coast of Colombia at night. A cold front that is currently moving into the Yucatan Channel, will reach from near the Windward Passage to near the Honduras/Nicaragua border by Tue night where it will stall and dissipate through Wed. Fresh to strong winds will prevail behind the front Mon afternoon through early Wed. Another cold front may enter the NW Caribbean by Fri night. That cold front has caught up with us, or at least its tail, over night. Heavy clouds from the NNE are covering most of Belize this morning. There is some clashing with the Caribbean air causing a number of small patches of rain, presently most of that is out at sea, but there are a few patches inland. There is a cool, fairly strong breeze over most of Belize from the NE already. Looks like today will be cool and cloudy, with the chance of rain showers. On Ambergris Caye this morning we have a strong wind from the North. 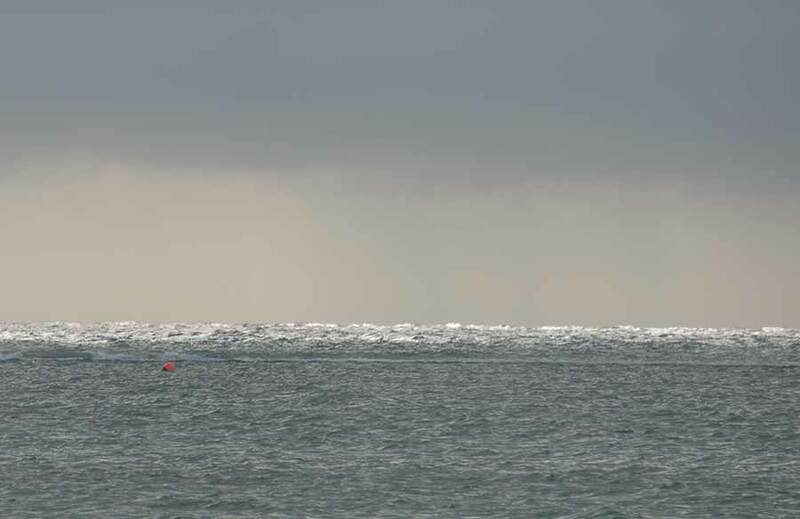 The weather bureau has issued an advisory of caution for operators of small craft. The expected high temperature for today is in the upper 70's.